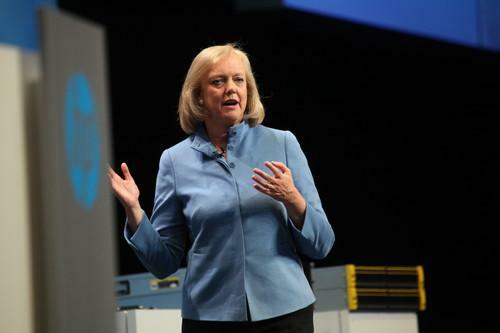 After two-and-a-half years running Hewlett-Packard, CEO Meg Whitman appears ready to make some deals. "I do think we will now be considering acquisitions," Whitman said on HP's earnings call Thursday, when asked by an analyst what the company plans to do with its free cash flow. "As this market changes very dramatically, you can see we may need acquisitions in security, big data, mobility and cloud," she said, adding that any deals are likely to be "small to medium-sized." HP ended its fiscal year last October with US$9.1 billion in free cash flow, and it generated $2.4 billion in the quarter that just ended. The company will return some of the cash to shareholders through dividends and share buybacks. Whitman already said last year that she was open to acquisitions, but she hasn't made any significant deals since taking over as CEO from Leo Apotheker in September 2011. That might not be surprising given the debacle that followed Apotheker's $11 billion buyout of Autonomy just before he was replaced. The following year, HP took an $8.8 billion charge against the deal, effectively saying it had overvalued the company. As well as buying technology, Whitman is ready to get rid of some, too. Asked by another analyst if HP plans any divestitures this year, Whitman said the time is right. "I don't see a major move of the big four businesses," she said, referring to HP's enterprise, PC, print and services divisions. "But this is a vast portfolio, and there are product lines and smaller businesses within these big operating divisions that could be a candidate for divestiture." "We haven't made any decisions, but we're now getting to the natural course of [asking ourselves], 'OK, do we have the optimized portfolio?'" she said. HP reported fairly solid results for the quarter as Whitman's turnaround at the company slowly continues. Revenue declined by 1 percent, but profits were up and HP managed to grow its PC business for the first time in seven quarters.